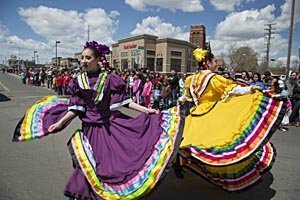 The Cinco de Mayo parade in Detroit’s Mexican-American community draws thousands of spectators each year. The parade is followed by the Blessing of the Lowriders. Copyright Notice: All photos on this web site are copyrighted and may not be used in any manner without permission of the photographer.